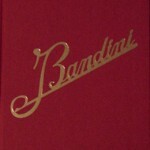 Although chronologically the first of a 5-part series covering 50 races from 1923–1982, this volume was actually published last. Unlike the olden days were you could—and usually would—drive your race car to the track, race it, and return home (if you hadn’t totaled it), today’s Le Mans cars have practically nothing in common with their road-going brethren. Alfa Romeo and even more so Bentley played an important role in putting the 24 Hours of Le Mans on the map. In tried and true Brooklands manner, the Racing Series consists of contemporary newspaper and magazine reports, reprinted as is. Thus the historic record is left uneditorialized and speaks for itself. And speak it does. You get the pure, unadulterated flavor of the enormous impact and excitement of racing in the 1920s and ‘30s. And remember, these were the pre-ESPN days . . . even radios would not have been commonplace. The written word had to convey urgency and dimension, life and death—and thanks to a creative use of adjectives you do get a sense of “being there.” The writing is gripping and oh so British. (“The Bug. 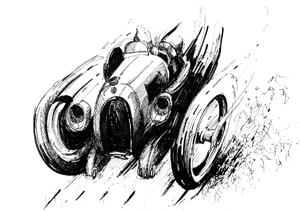 was in a spot of trouble, the Delage came in with an enfeebled engine—and then a horde of officials strolled across the track and embarrassed the drivers flashing down past the pits which occasioned howls of execration from the audience.”) Ah, the power of words . . . It is a given that the illustrations, being reprinted from old newspaper stock, are anything but pristine. Quite a few of them are actually drawings, not photos, and not often seen. If you must see gleaming chrome and detailed close-ups of engines and such you’ll need to supplement this book with others (and, these days, there is no shortage of suitable titles!). 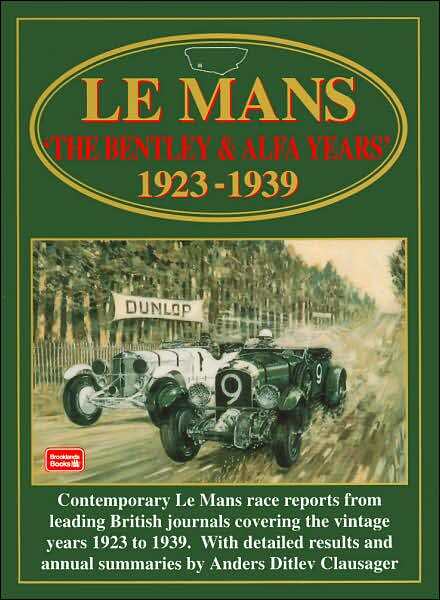 The book is prefaced by a brief summary of Le Mans history and rules. Anders Clausager introduces each race with a Race Summary that provides wonderful depth and continuity throughout the entire series. At the back of the book all race results are presented in tabular form. He has a sterling reputation as an authority in anything related to racing stats. Clausager is the archivist of the The British Motor Industry Heritage Trust. The BMIHT’s mission is to collect and preserve vehicles, artifacts, and records of Rover Group companies. 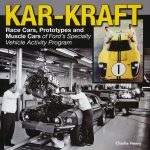 Clausager has thus access to acres of data and has authored a number of classic car and automotive history books, especially MG.